An evening with John Cleese is like sitting down with an old friend and a cold vodka and tonic. You know you’re going to have an enjoyable evening–the only question is, how enjoyable? Most of the audience for John Cleese: Last Time to See Me Before I Die will be familiar with at least some of his work, usually Monty Python, Fawlty Towers, or A Fish Called Wanda. And they will unquestionably get their moneys’ worth with stories and film clips featuring the best-loved bits and co-stars. But just as enjoyable are the stories and clips of lesser-known but just as hilarious shows and friends. Who knew that his mother Muriel would be discussed as much as Monty Python? And get just as many laughs? John settles into a comfy chair as he discusses both his parents, growing up in Weston-super-Mare, which was inexplicably bombed during World War II, how he got into show business, touring New Zealand, beginning work at the BBC, and early friends and idols like Marty Feldman, David Frost, and Peter Sellers. He hits on all of the successes that one would expect, but also explains his love of black comedy (one of the few things he had in common with his mother). He gleefully relates several practical jokes played on Michael Palin (including one that backfires deliciously), and tries to explain the late Graham Chapman, his friend and writing partner. The show moves along at a rapid pace, and he packs in plenty of stories, seasoning it with just the right amount of photos and film clips. I suppose a disclaimer is due here: I’ve known and been friends with John since the ’70s, so I am a bit prejudiced. However, after seeing it several times, I was delighted to see the virtually universal enthusiastic audience reaction. 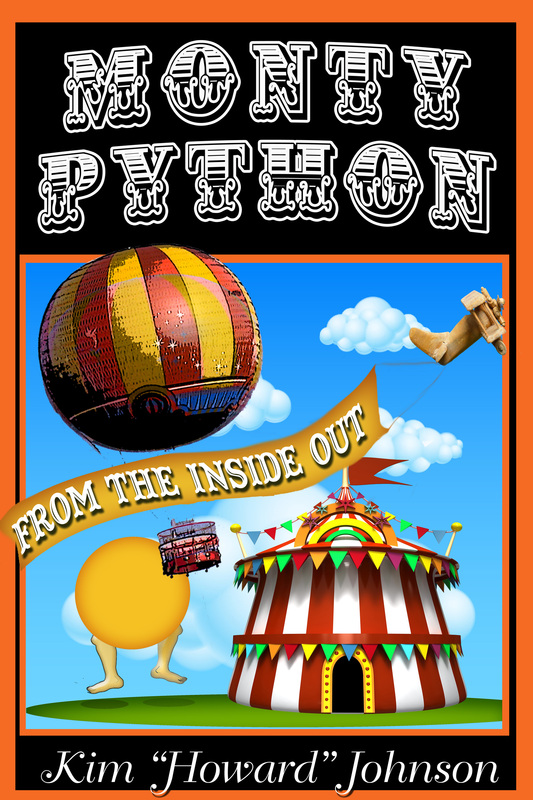 At risk of being labelled a sycophantic fanboy (which, when dealing with John and the Pythons, is a badge I wear with honor), he deserves the adulation; he works hard to ensure that his performance is word-perfect, going into the theatre early to hone phrases and check photos and cues. The result speaks for itself. 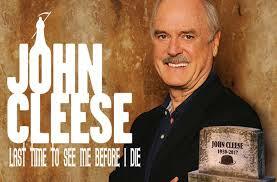 After wrapping up the Canadian Tour, John Cleese: Last Time to See Me Before I Die will be touring Australia early in 2014. I’ll post more about it when it gets closer to the time. Oh, and how enjoyable? Very enjoyable indeed. This entry was posted in Uncategorized and tagged Australia, Canada, Cleese, David Frost, Graham Chapman, John Cleese, Marty Feldman, Monty Python, Palin, Peter Sellers, python on October 2, 2013 by howardjohnson1985.